Trying to catch a flight? There is no better service than Wisla Express - best travel option to and from the airport. Operating John F. Kennedy Airport, La Guardia Airport and Liberty International Airport. We care about our passengers and do our best to provide the service always on time. You don't have to worry about leaving your car on the parking lot. Leave it at your house and arrange a service with Wisla Express... and you will be picked up just from your doors. How convenient is that? Our service provides safe, reliable and affordable airport shuttle. We would like to create your positive experience and earn your deepest trust. Our clients are our most important asset. 6 of our representatives are waiting to find the best option for you. Knowing we offer shuttle every 2-3 hours a day you can choose a shuttle fits your needs. We are located in New Britain, Connecticut but serve the entire state of Connecticut. When you need safe and convenient way to get to the airport or pier, Wisla Express is the right choice. Wisla Express LLC offers airport and pier shuttle service. Our mission is to provide passengers with safe, efficient, and affordable transportation. With more than 20 years of experience in transportation, Wisla Express is proud to offer shared and private shuttle service to and from NYC's most prominent airports and piers. Whether your travel is to or from an office, a hotel or a home - we always come to you! Our fleet of 10 vans and our team of 10 drivers who are always friendly and courteous, will make your experience safe and pleasant. Door to door service to and from the airport or pier. Without the hassle and cost of dealing with airport parking. We’ll always be there to pick you up, whether your flight or cruise is early or late. We’ll reconfirm your pick up from your home a day before your departure. We’ll be there for you, always. No surprises. Operating every day, 6-8 times a day. Also on holidays. Nothing is more important to us than you: we pick you up and get you there on time! We always review schedules a day before departure - considering weather conditions and traffic. We provide cost effective travel with safe, experienced, and courteous drivers and well-maintained vehicles. We are committed to make a good faith effort to satisfy and delight every of our client and to resolve any consumer complaint. No matter your travel needs, Wisla Express has versatile transportation solutions to fit every situation and budget! Groups, families, business travelers, and solo adventurers – we make airport or pier rides easy for you! Your last minute travel emergency is our routine day at the office. There are always several options to get to the airport or pier, such as asking a friend or renting a car. However, renting a car may be quite expensive and will also require that you or a friend drive in New York City traffic. Wisla Express is the stress-free option. On your trip to airport or pier you may relax and read a book, or listen to your music. You will aways know what you will pay. No surging prices - no surprises and no hidden costs like tolls or parking fees, just superior transportation service. At Wisla Express we firmly believe that our services must be carefully adapted to the level of all clients needs. Feel free to call us at: 1 860.229.7796 and one of our agents will answer your question. How many suitcases can I take with me to your shutlle ? We have an allowance of 2 regular size suitcases and 1 carry-on bag per person. There is a $20 per bag surcharge for amounts exceeding these limitations. Passengers with oversized luggage or unusual items should contact our office at least 24 hours prior the trip. There is also additional $45 for any unregular luggage. What is my pick up time ? One of our representative will call you a day before your flight to give you exact pick up time for your travel day. Remember that we are providing a service to be at the airport 3 hours prior to the international flight or 2 hours prior to domestic flight. We ask for a 15 minute window beyond this time to allow for other pickups in your area or unexpected traffic delays. Will the shuttle van be on-time ? When we give you a pickup time, remember that there may be others in the shuttle van when it drops by to get you. This means that you should be ready to go about fifteen minutes before your pickup time, but we may not be there until about fifteen minutes after. There is a pickup window, therefore, of about a half hour in which you can anticipate us to be out in front. Don’t worry, though, because we will always get you to the airport or pier in plenty of time. How can I find Wisla car when I arrive ? Once you have collected any luggage and are ready to leave the Airport or Pier, you have to call Wisla Express toll free nr (877) 378-4192 to contact dispatcher. If you have an advance reservation you will be asked to give us either reservation number or name the airlines you came with. Dispatcher will inform you what time driver pick you up from your terminal. If you don't have reservation booked you have to call toll free number to check if there is any seat available and make a booking over the phone. Do not depart the airport or pier without having checked in or in any vehicle that is not clearly marked WISLA EXPRESS. For travel from the airport we will advise you of your waiting time when you check in with us. Vans depart at least once per 2 hours, but not necessarily on the hour. Average waiting time for pickup is 30-45 minutes, but it might take up to 2 hours if there is any flight delay or wait time for other passengers. Can I call from the airport if I don't have a reservation ? Yes, you can. You have to call toll free number 1-877-378-4192 to check if there is any seat available and make a booking over the phone. When should I call to make a booking ? The sooner the better. Please remember that we have limited number of seats in our vehicles. The sooner you call to make a reservation the better for you. Once we confirm seat for you we cannot call you to refuse the service. And remember, do not wait till last moment because we might be sold out. When I make a reservation, do I need to prepay? Reservations for rides serve as a prepayment. We recognize that the majority of our guests prefer to pay for travel expenses by credit card. Once you arrive at your destination, you simply sign for the ride instead of waiting for change or credit card approval. After a long trip, it’s one less thing to worry about, which is why prepayment has become the norm for the travel industry. Please call our office at 860-229-7796 during our office hours with any change in your plans, at least 24 hours prior to your departure. Reservations are non-refundable. If reservation is canceled more than 24 hours before your departure, you will receive store credit for future use. It is just the inquiry form, it is not reservation yet. Someone from our office will contact you within 24 hours. If you have any changes to your reservation you must call us at 860-229-7796. Please do not send this form with the changes to your itinerary. * additional charge of $10 may apply for all last minute reservations made with the short notice of one day before the trip. * additional charge of $40 may apply for all reservations for flights departing JFK/LGA/EWR before 8 am. Please be notified that our last regular shuttle is leaving JFK/EWR at 10.30 pm. Later shuttle is available upon earlier arrangement. * Additional charge may apply for morning pick up. We offer also group discounts based on round trip reservation. How does it work? We’ve got answers! Be prepared that Wisla Express will call you a day before your trip to inform about pick up time. Remember to inform us about any additional luggage or any changes to your itinerary. On your travel date make sure that you have your phone with you, in case driver would like to call you before your pick up time. Please know that the van will arrive within 15 minutes of your scheduled pick-up time. This means the van may arrive 15 minutes before or up to 15 minutes after the scheduled time. Please make sure that you are ready and waiting at the pick-up location at the beginning of the scheduled window. Shuttle stop at your terminal, either at the airport in front of the airline entrance, or at the pier in front of dock number. Enjoy your trip ! On your travel date once you have collected your luggage and are ready to leave the airport or pier, you have to call Wisla Express toll free number 1-877-378-4192 to contact dispatcher. You will be informed what time driver pick you up from your terminal. Average waiting time for the pick up is 30-45 minutes, but it might take up to 2 hours if there is any flight delay or wait time for other passengers. When you book 2 tours together. When you book 3 tours together. I just wanted to let you know how very much I enjoyed working with Wisla. I really appreciate how well you are organized and how smoothly my pick was. Next time I need to get to the airport, I'll definitely call you, and I'll tell all my friends about Wisla too!! Our service from Wisla was great. Our driver was Andrew and he was excellent. I will certainly ask for him again. I have noticed an improvement in the quality of your vehicles which is greatly appreciated. Thanks for the excellent service. All sales are final. Transport is not refundable after purchase, although credit may be used for five consecutive years. In order to use that credit Wisla Express LLC must be notified two days in advance. Please contact Wisla Express LLC representative at least 24 hours prior to a new date to create a new reservation based on availability. Transportation is not refundable after purchase. To obtain the credit, cancellation must be made at least 24 hrs prior to the flight. Last minute cancellation (less than 24 hrs before the flight) is a subject to $30.00 penalty. In order to use the credit you must notify us at least two days in advance. Future credit never expires. In the event of no show there is no credit whatsoever. The purchaser can obtain schedule information by calling our office 860 229 7796 or email questions to office@wislaexpressct.com or visit our website www.wislaexpressct.com. We reserve the right to modify the schedule at any time. However every effort is made to remain on schedule. The use of Wisla Express LLC shuttle is limited to the regular schedule service of the company. Wisla Express LLC will not be responsible for delays caused by weather, road or traffic conditions, mechanical failure or any other conditions beyond our control. Any expenses arising as a result of delayed departure or arrival times, including missed flights or travel connections, are the sole responsibility of the passenger. All our representatives work very hard to ensure the best service to all passengers. 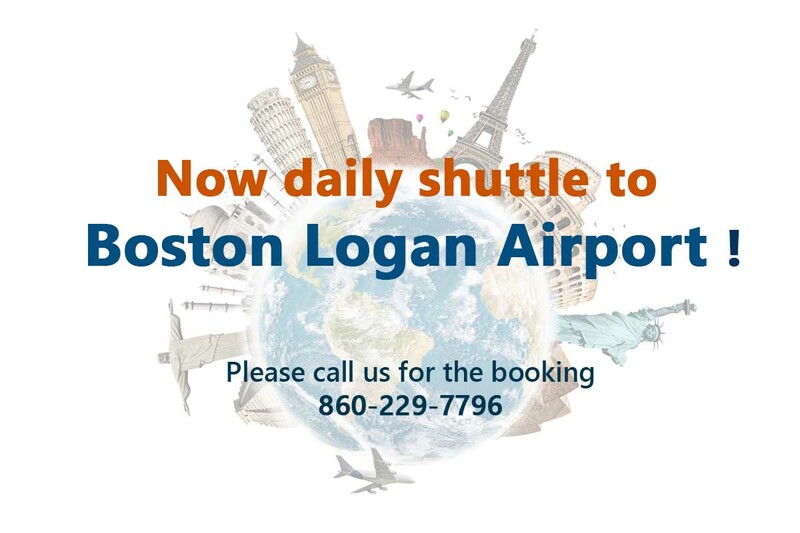 If for any reason you miss your original shuttle from the airport due to delay of your arrival, you will be placed on the next available shuttle. Service is provided on 7-10 passenger vehicles. An adult must accompany children under 16 years of age. Seating aboard vehicles operated in interstate is without regard to race, color, creed or national origin. Wisla Express, LLC allows two (2) pieces of checked baggage and one (1) carry-on piece for each passenger. The maximum weight is fifty (50) pounds each and the maximum size is sixty two (62) inches (length plus width plus height) for each checked bag. The maximum size for a carry-on is (45) inches (length plus width plus height). Additional charges may apply for extra luggage. Baggage in excess of (50) pounds will not be accepted for transportation unless the passenger can provide additional help in the loading and unloading of the baggage with the driver. Please contact us if you are transporting unusual objects including but not limited to large boxes, bicycles, surfboards, golf bags, skis, TV or any other items which do not fit into standard luggage. Additional charge may apply. We reserve the right to refuse boarding to passengers who have not advised of any unusual objects as referenced above prior to their reservation. Customer hereby indemnifies and holds harmless Wisla Express, LLC, its employees from and for any and all claims relating to lost/damaged luggage and personal property. To obtain service from JFK, LGA, EWR (Newark) or Pier ( New York, New Jersey) all passengers must first clear immigration service and pick up their luggage, then call the designated emergency number 860 281 6316 or toll free number 1 877 378 4192 to speak with representative. Wisla Express LLC reserves the right to wait for all other passengers arriving at the same time as you. We have no control how quick each individual will pick up the luggage. REMEMBER: Drivers do not wait at the arrival hall and do not have ability to help passengers at baggage claim because it is inside custom and border patrol secured area. We reserve the right to refuse boarding to passengers under alcohol or drugs influence, as well passengers who have not advised of any unusual objects prior to their reservation. Wisla Express, LLC allows travel with animals, based on previous agreement. 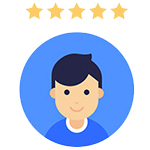 Thanks for wonderful service ....we will continue using your service and I tell my friends about Wisla Express .... And they so happy to know about Wisla ...you guys will have much more customers. R.L. Discover one of the most amazing wonders of the world. Take a ride aboard the Maid of the Mist and take the Cave of the Winds walkways to go right up to the base of the Falls. 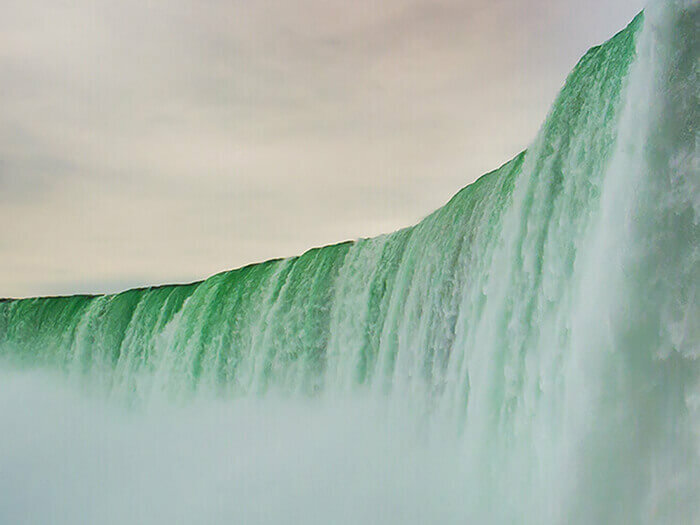 We will see all three Niagara Falls: American, Horseshoe (on American side) and Bridal Veil at different angles. We will walk in the raincoats at the Cave of the Winds, which brings you closer to the waters of Niagara than ever. After the elevator ride down deep into the Niagara Gorge, we will take a series of wooden walkways that lead to the hurricane deck - a mere 20 feet from the towering Bridal Veil Falls. At the end we will see Niagara Falls illuminated at night - spectacular views of the Falls with the colors of the rainbow. Ride aboard the Maid of the Mist. The journey begins at the bottom of the Observation Tower, where you will be provided with a souvenir rain poncho. The Maid of the Mist will take you to the base of the American Falls and then to the base of Horseshoe Falls, through the crashing waters and massive rock formations. Discover capital of the united states. See all the best sights in one comprehensive tour - the White House, the Capitol Building and Memorials. 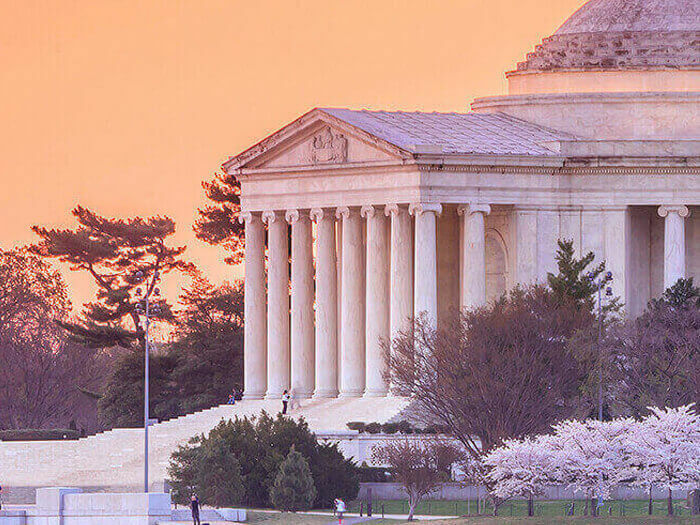 Enjoy a cruise on the Potomac River and discover the Smithsonian museums. 2.00 - 2.30 pm Arrival in Washington, D.C.
We will start with a cruise along the Potomac River. It is nice way to relax and capture great photographs of the nation's capital. After the cruise we will walk to the White House and US Capitol Building - one of the most recognizable historic buildings in Washington. At the end we will go to the National Mall, an open area national park which contains memorials and museums. We will see: Lincoln Memorial, Vietnam Veterans Memorial, Jefferson Memorial and others. e will see: Arlington National Cemetery, with the Eternal Flame at the grave of President John F. Kennedy. Then we will go to Smithsonian Castle and Museums - huge complex of 17 museums. You can choose your museum: National Air and Space Museum (with the largest collection of historic air and spacecraft in the world), Natural History Museum (family favorite, offers variety of artifacts including an 80-foot dinosaur skeleton, a life size model of a blue whale, and an enormous prehistoric white shark). 2.00 - 2.30 pm Departure from Washington, D.C. 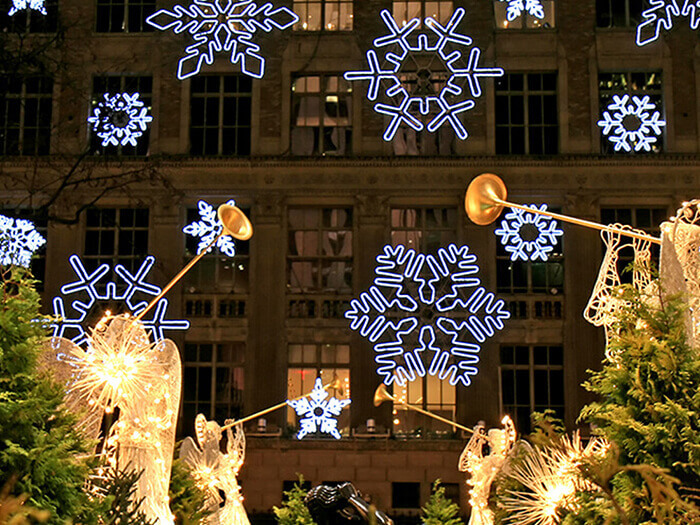 Explore the magic of new york city, one of the most amazing cities in the world. Take a walk around the Statue of Liberty . Discover the city from Wall Street's skyscrapers to the neon of Times Square. Our tour begins at Battery Park with a ferry to Liberty Island, that brings us close to the Statue of Liberty - the classic American icon, symbol of freedom. After the cruise we will head to Wall Street, to see all of the landmarks of the financial area, such as the Charging Bull statue and New York Stock Exchange. The next stop is the World Trade Center, home of the new Freedom Tower and the September 11 Memorial. Next is Times Square, a constantly buzzing tourist magnet; one of the most visited places in the world. The lights are blinding, the crowds are thick, and the noise is infernal, but that’s Times Square. Here you will have around 2 hours free time. You can spend your time at Central Park, 5th Avenue, Broadway - everything is located nearby. 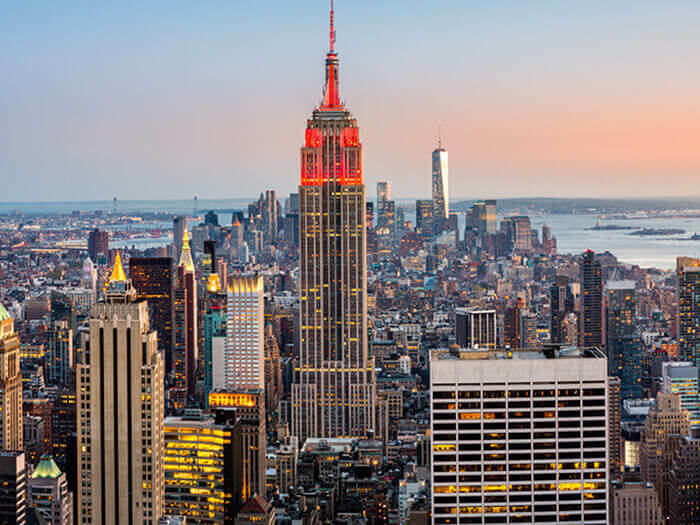 You can also choose to go to the Observation Deck - either at Rockefeller Center or The Empire State Building, and look out over the city. For those who are interested in visiting museums we recommend going to Museum of ModernArt (MoMA) or Madame Tussauds Wax Museum, both located near Times Square.